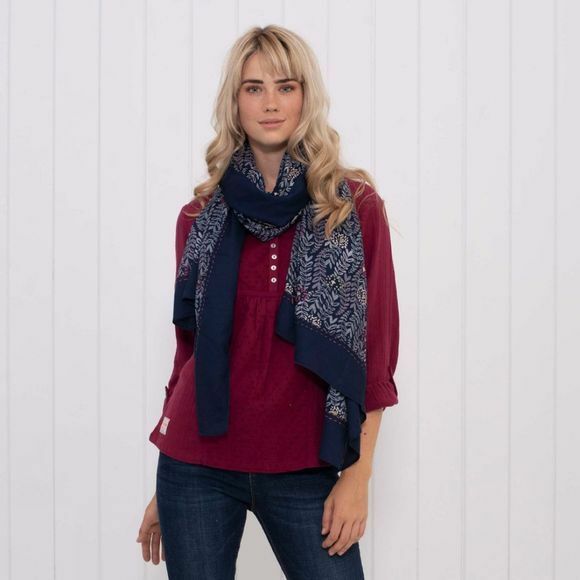 The Womens Trailing Leaf Border Scarf from Brakeburn is extra large so they can be worn in many ways. With hand stitched edge detailing and a soft hand feel this scarf will make any outfit feel extra special. Our trailing leaf print looks great on the softly textured twill fabric.